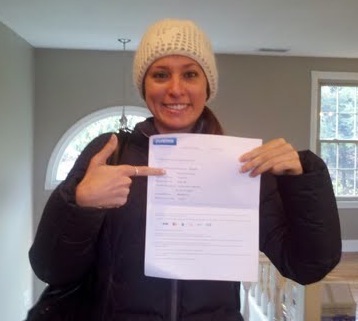 Like most of our members, Rachel was pleasantly surprised by the short waiting times at LabCorp. In fact, while most of the testimonials we’ve seen have boasted a short 5-minute average waiting time, Rachel was actually taken in 5 minutes BEFORE her scheduled appointment! Although high-cholesterol runs in Rachel’s family, she totes excellent numbers. Most of her other biomarkers were also in the green. Another area of concern was Rachel’s carbon dioxide levels. Though her results gave her a lot to be happy about, WellnessFX is about making our bodies the best they can be, not settling for ‘good enough.’ Needless to say, Sarah was anxious for her consult. Rachel was paired with one of WellnessFX’s wonderful practitioners, Sarah Brett. Sarah’s expertise in functional medicine and natural health attracted Rachel, who is trying to travel her road of wellness along the most natural path she can find. First issue on the table: Rachel’s TSH. Sarah explained that Rachel’s numbers were only slightly off, and that certain foods in her diet could be causing a higher reading than normal. Since Rachel wasn’t showing any of the other symptoms of hypothyroidism (like weight gain, extreme fatigue and constipation), Sarah assured her it was fine not to worry too much. So what about that CO2? Sarah pegged the culprit there, too: frequent exercise. Nothing to worry about here, either. Sarah didn’t just look at the numbers in the red, though. It’s important to consider all aspects of a person’s health, and not to only think of Biomarkers as being black and white. Basically, Sarah saw places for improvement even where the numbers were technically ‘good.’ Sarah warned Rachel about her slightly elevated Apo B, which assists ‘bad cholesterol’ in attaching to artery walls. Sarah suggested increasing Omega 3’s though fish oil, flax, fish, and walnuts. Vitamin D was another area that could use some improvement. If you recall, Sarah lives in Massachusetts, far up there in the American North East, which means less exposure to the sun. It’s normal for someone in Rachel’s geographic region to need Vitamin D supplementation. We think we can all agree that Rachel is pretty darn healthy! Still, there’s nothing like verification that you’re doing the right thing to keep up the motivation. We’re glad Rachel has a sounder mind when it comes to her health. Keep up the good work!